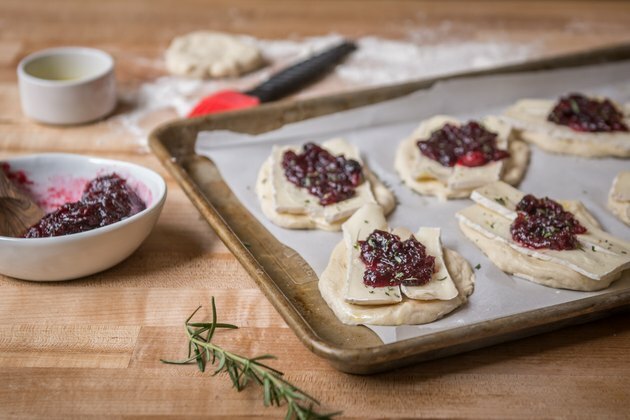 With pre-made pizza dough and cranberry sauce you're already making, these couldn't be simpler for holiday entertaining. Just slice some cheese, sprinkle with rosemary, and they're ready for the oven. Even at the last minute, you can still pull these off in under 20 minutes. 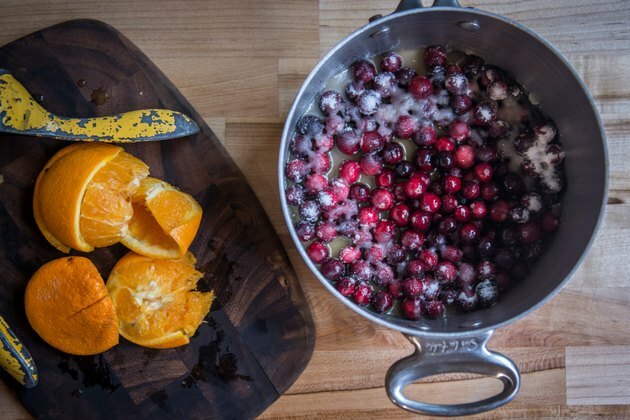 Add the cranberries, juice from one orange (about 1/2 cup), and sugar to a pot over medium-high heat. Simmer until cranberries have broken down and the mixture reaches the consistency of a thick jam, about 15 minutes. Remove from heat. 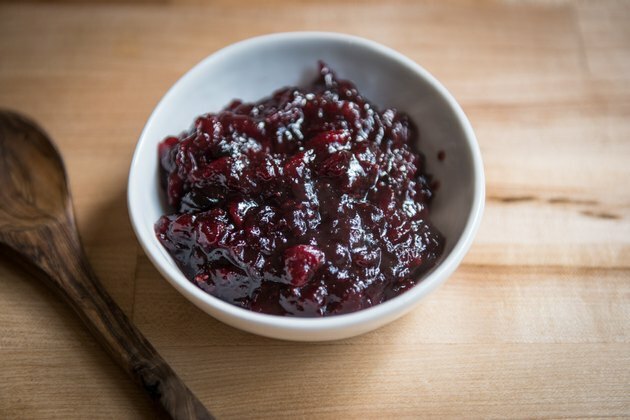 Need cranberry sauce for your holiday table? Just make a double (or triple!) batch and you'll have enough for the flatbreads and more than enough leftover for the table! 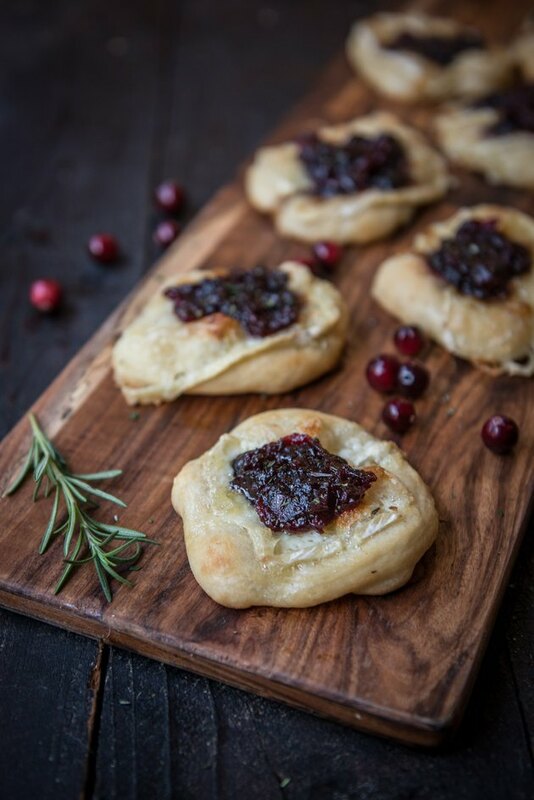 You can also substitute 1 cup of your favorite cranberry sauce for the topping on these flatbreads. 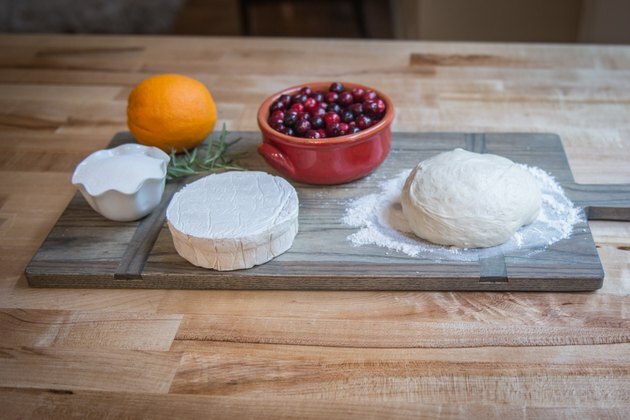 On a lightly floured surface, cut the dough into 8 equal sized portions (you can also make small, two bite flatbreads by cutting the dough into 16 equal sized pieces). Press and pull them into circles about 4 inches in diameter. Want to make it even simple? Use packaged (pre-cooked) Naan flatbread, top, and bake for 6 minutes! 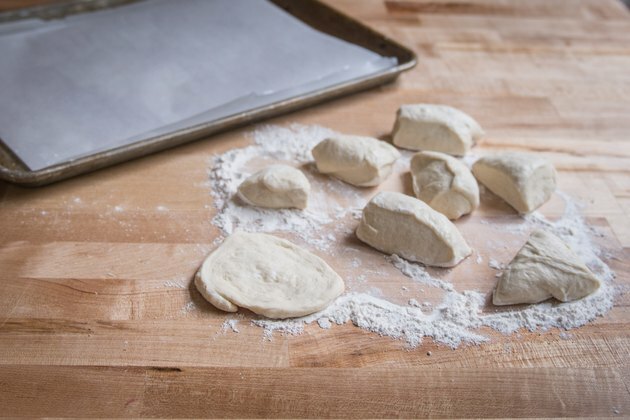 Place the circles on a baking sheet and brush dough with olive oil. Slice the cheese (with the rind on) into thin slices. Add two slices to each circle. 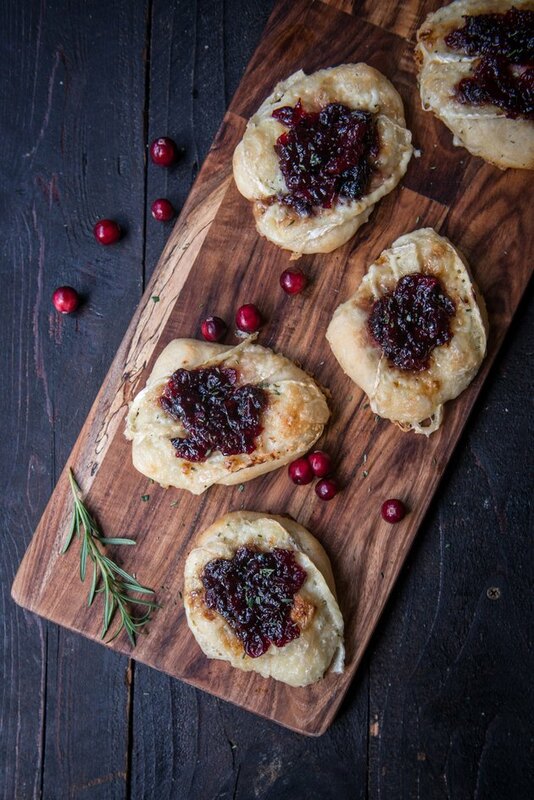 Top with about 1 tablespoon of cranberry sauce, and sprinkle with rosemary. 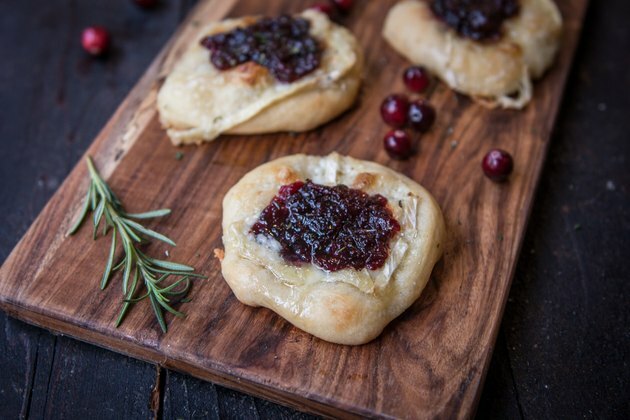 Bake at 425°F for 10-12 minutes or until the dough is browned and the cheese has melted. Remove from oven, sprinkle with salt. Serve warm.